A unique and contemporary hand lettered card in celebration of the arrival of a new baby girl. This super-cute new baby girl card makes the perfect choice for the arrival of brand new baby. 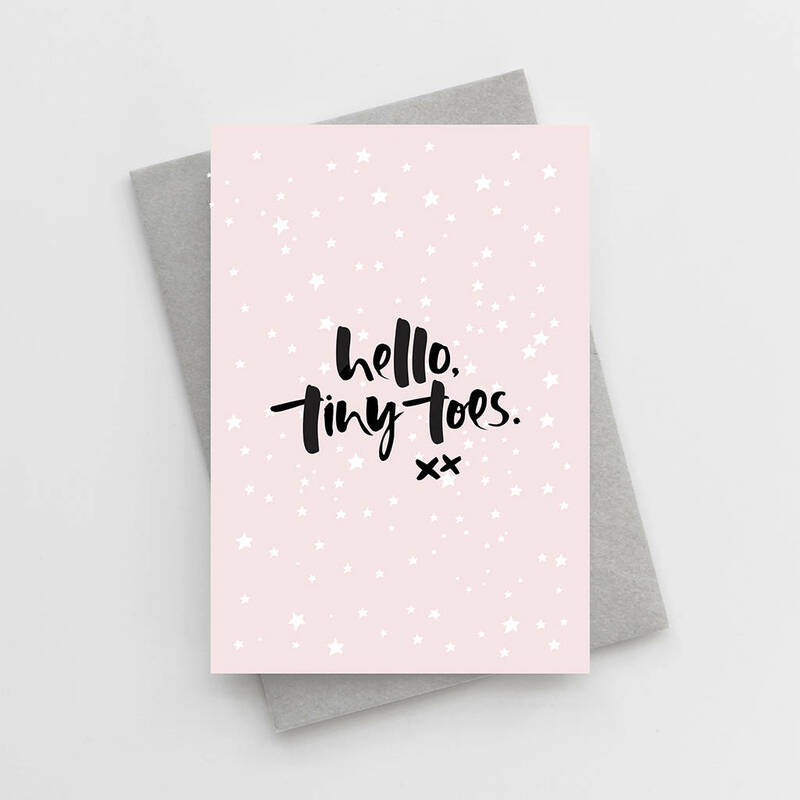 Featuring our classic, hand lettered typography, the phrase 'Hello, Tiny Toes' is written in deep black ink, layered over a soft, blush background and a sprinkling of white, hand drawn stars. 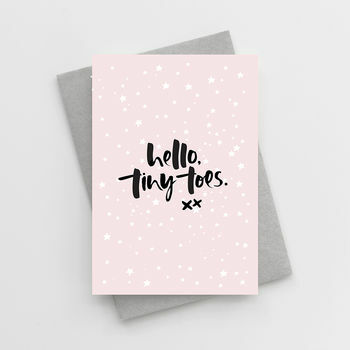 'Hello, Tiny Toes' New Baby Girl Card is 10.5 x 14.8cm (A6) and comes with a 11.4 x 16.2cm (C6) envelope.